Home Dogs What Is Natural Dog Food? Are organic, holistic, and natural dog foods the same thing? 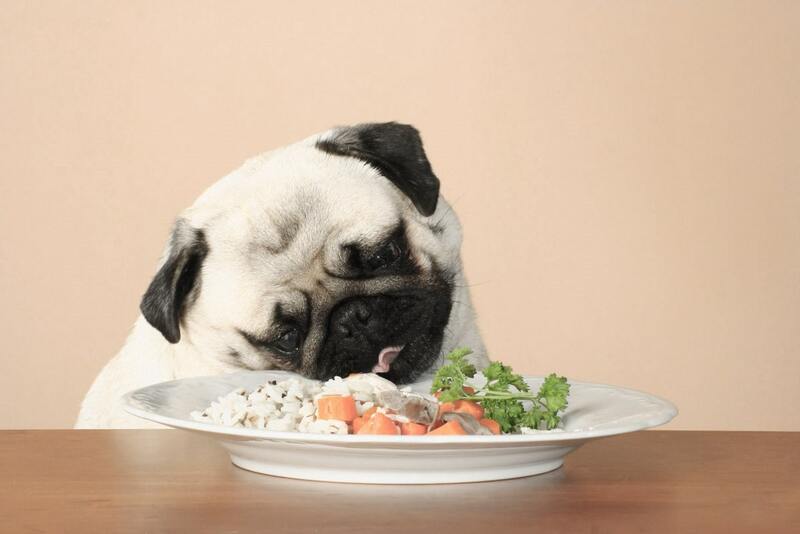 What should natural dog food contain? If you’ve started prospecting the market for pet food for your dog, you have probably already noticed that there are tons of options for you to choose from, and some are cheaper while others can be costly. Among all the different types available, the labels that read “natural dog food” must have caught your eye. With that said, there can be a lot of confusion nowadays as to what kind of food could or should have the label of “natural pet food.” Before you take a look at the top options we found, you should take the time to read our informative article below where we’ll explain everything that you need to know about natural dog food so that you can choose the perfect product for your pooch. While some brands may bend the definition of what natural dog food is, the general denotation refers to the main ingredients present in the formula, all of which should be “natural,” meaning coming from natural sources and not heavily processed with countless chemicals added. The Association of American Feed Control Officials defines natural dog food as a feed or ingredient derived solely from animal, plant, or mined sources that have not been produced by or subject to a chemically synthetic process. Natural options can’t contain any processing aids or additives that are chemically synthetic except for small amounts that are unavoidable in manufacturing practices. The AAFCO guidelines allow for the term “natural” to be applied either to the product as a whole or to an individual ingredient. Thus, you should be very careful when reading the label because some brands might trick the consumer with a flashy label that reads “Natural Chicken,” for example, while all the other ingredients might not meet the AAFCO guidelines. To help assure that the product is nutritionally complete, AAFCO allows companies to add synthetic nutrients such as amino acids, minerals, or vitamins. Such products can keep their “natural” label, as long as there is a disclaimer statement in the lines of “Plus Vitamins and Minerals” to disclose that not all the ingredients come from 100% natural sources. 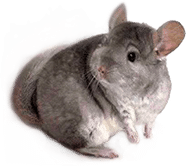 Thus, in a natural dog food formula, all the ingredients except for the minerals and vitamins, need to come from sources that have not been produced synthetically. A natural formula cannot contain by-product meal, added artificial colors, preservatives, or flavors. When speaking of dog food, the terms “organic,” “holistic,” and “natural” are often used in conjunction, but that is not always the case. It is important to note how and when the specific term is used to understand what it means for the quality of the food. As we mentioned above, the term natural means that the ingredients were produced naturally, without any synthetic or artificial additions such as flavors, preservatives, sweeteners, or coloring. With that said, the term “natural” does not have to apply to the way the meat was produced, and this means that the chickens or cows could have been fed antibiotics or hormones. The term “organic,” on the other hand, refers to the way that the meat, vegetables, or fruits were produced. For meat to get certified as organic, the animal must be fed an all organic diet as well as have a higher standard of living conditions. For holistic pet food, things can get a bit complicated. Because the AAFCO does not have a definition of the word, brands tend to use it freely. Thus, if you encounter a label that says “Holistic Natural Dog Food,” you should focus on the word “natural,” as that is the only one that has an actual meaning that can be applied to the food. 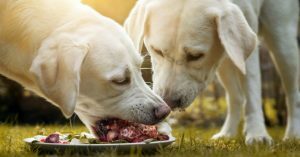 One of the most important aspects to consider when purchasing food for your pet is the main ingredient which should always be high-quality meat. While humans are omnivores and can survive and be healthy on a vegan diet, dogs are natural carnivores and need their primary source of protein to be meat. 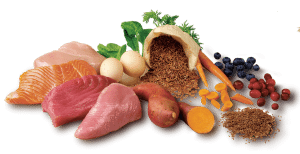 You should avoid options that contain grains since this is an inferior source of protein, and diets that are high in carbohydrate and grain content can lead to numerous health problems, including weight gain. With that said, a natural choice does not have to contain only meat, it also needs vegetables and fruits if your dog is to get the beneficial vitamins and antioxidants from a natural and safe source. Similarly, you can also add some fish oil to the pet’s food (if it doesn’t already contain it), as it is an excellent source of essential fatty acids, digestive enzymes, and key nutrients that are very important for your dog’s diet. There are two main types of natural dog food that you can purchase, and a third that we don’t recommend. Kibble or dry food is the economical option, and it comes with many advantages. Not only does it last for a very long time, but it also does not need to be refrigerated. Kibble can also help maintain your dog’s teeth healthy since chewing crunchy food helps reduce tartar buildup. The second option and the one that dogs seem to love the most is canned or wet food. This type of food has a long shelf life (not as long as kibble), but it has the disadvantage of being more expensive. There is also the semi-moist option which is usually shaped as burgers, stakes, or other meaty products. This type of food is considered to be the least nutritional, and it is generally hard to find an option that is entirely natural and without artificial flavors and colorings. You can consider using it as a treat, but never as a diet in itself since it does not provide the nutrition that your dog requires. If you want to do some more reading on managing a lifestyle with your pooch, check out our list of tips for taking your dog on a road trip.